Ljubljana Jože Pučnik Airport is seeking direct flights to the Middle East in order to better compete against nearby rivals in Zagreb and Venice. The head of Ljubljana Airport’s Airline Management, Janez Krašnja, says services to Qatar and the United Arab Emirates are currently being considered. Recently, the airport held talks with the leading carriers from the UAE, including Emirates, Etihad Airways, Flydubai and Air Arabia, with the latter two believed to have shown the greatest interest in launching operations. Last November, Slovenia and the UAE signed a Civil Aviation Agreement, which enables flexibility on routes, capacity, number of frequencies and types of aircraft between the two countries, for both passenger and cargo flights. The Slovenian Minister for Economic Development and Technology, Zdravko Počivalšek, will visit the UAE in September where further discussions on the establishment of flights are expected to take place. Qatar Airways is also considering potential services to the Slovenian capital. The Qatari Minister of Economy and Trade, Ahmed bin Jassim Al Thani, recently visited the country where he expressed hope for flights between Doha and Ljubljana to be established in the near future. The Slovenian Ministry for Infrastructure said a direct air service to Doha would open up new opportunities for tourism. 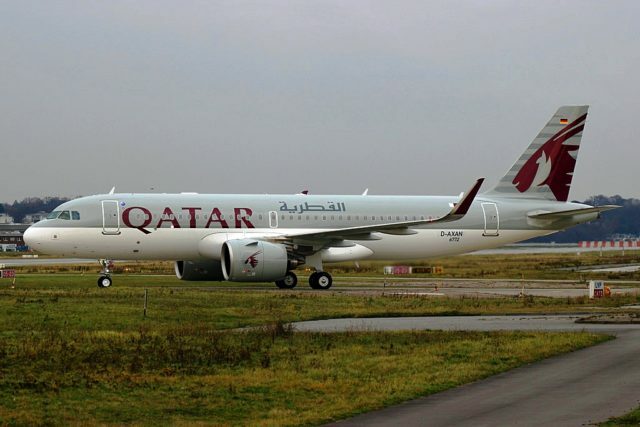 In addition to launching flights to Sarajevo in November and Skopje early next year, the Qatari carrier carrier has hinted at introducing double daily services to Zagreb in the near future, while possible new routes in the former Yugoslavia could include Dubrovnik and Pristina, besides Ljubljana. It has been confirmed that the airline has undertaken a feasibility study for a number of destinations in the region. Ljubljana, which is in close proximity to a number of larger airports, is looking to increase its competitiveness by offering more direct flights. Zagreb Airport is served by both Qatar Airways and Flydubai from their respective hubs, while Alitalia, Emirates and Qatar link Venice to the Middle East. Gulf carriers have little presence in Slovenia. Flydubai, which operates services to Zagreb, offers its passengers bus transfers from Ljubljana to the Croatian capital. On the other hand, Etihad Airways codeshares on Air Serbia's double daily flights between Belgrade and Ljubljana. Mr Krašnja said that by attracting new carriers and offering new routes the airport is looking to compensate for the loss in turnover being generated by Adria Airways, which has suspended two routes so far this year and cut back on plans to expand out of the Slovenian capital.